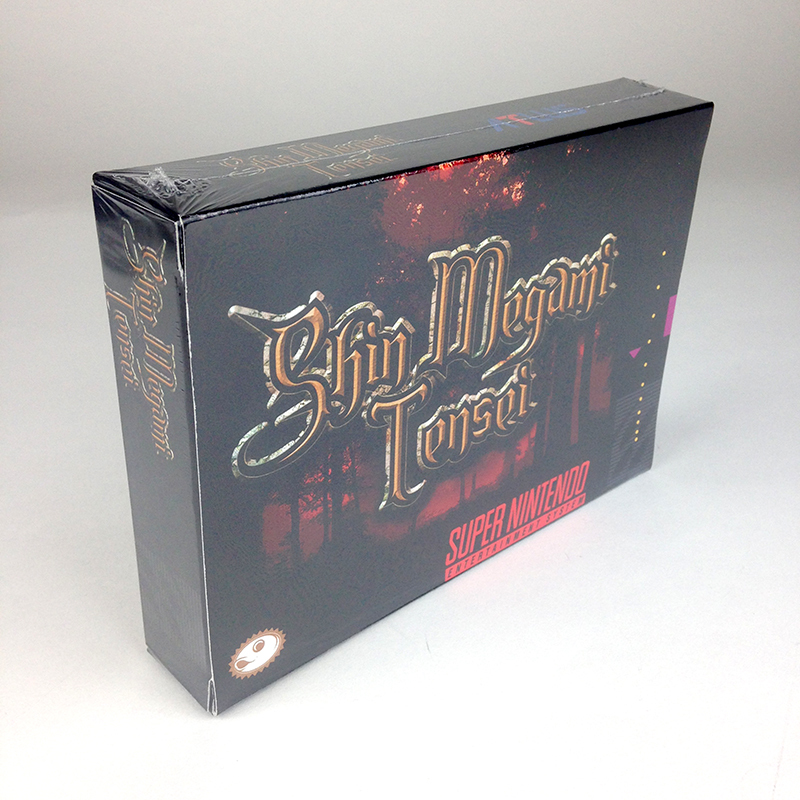 Shin Megami Tensei is a post-apocalyptic role-playing video game developed and published by Atlus. Originally released for the Super Famicom in 1992 in Japan. The original SNES version never saw an official translation or US release. Now fully translated into English and fully playable with a monster sized 44-page instruction manual and redesigned logo and box art. Ready to play by western audiences! Save Japan from destruction! Starting with a brutal murder in a park, The main character’s simple trip to pick up coffee turns into a quest to save Japan from a nuclear war. Featuring over 100 Demons and a Demon Fusion System, where you fuse at the Jakyou (Dark Cathedral). It also includes a alignment system which makes certain changes to the storyline and makes certain demons harder to summon. The gameplay in the series has become notable for its high difficulty, along with several unique mechanics. A key element is the ability to recruit demons to fight alongside the player in battle like in Pokemon, alongside the ability to fuse two different demons together to create a more powerful demon.A Moon Phase System plays a part in the moon or changes in the weather affect the behavior of enemies.